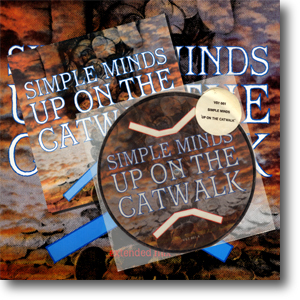 The third and final single from Sparkle In The Rain, released to drum up support for the second visit to the UK by the Tour Du Monde, repeated Virgin’s basic formula of 7”, 12” and limited edition picture disc. Again Steve Lillywhite provided an extended remix of the title track which took no prisoners. The 7” B-side, A Brass Band In Africa, was one of the movements of a huge, sprawling instrumental which burned up a considerable amount of studio time during the Sparkle In The Rain recordings. More of the opus was released on the 12” under the extended title of A Brass Band In African Chimes. It’s conceivable that Shake Off The Ghosts was also part of this cycle, as was the short piece pinned on the end of the extended mix of Speed Your Love To Me. Whilst collectors could content themselves with another picture disc, a limited edition white vinyl version of the 12” turned up in Canada.